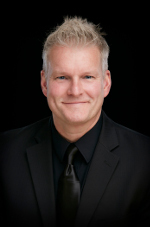 Jeffrey Cobb is the Director of Music Programs and Choirs at Northwestern Michigan College, Artistic Director of the NMC Children’s Choirs, and Director of Music at Traverse City Central United Methodist Church. He holds a M.M. in Choral Conducting from Oakland University and a B.A. in Music Education from Western Michigan University. 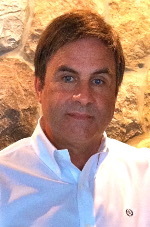 Jeffrey has held positions at Traverse City Central High School, Judson ISD in San Antonio, Texas; Parchment Schools in Parchment, Michigan; and the Leysin American School in Leysin, Switzerland. Choirs under his direction have toured throughout Michigan, Texas, Chicago, New York, Salzburg and Vienna and have been invited to perform at State and National Conferences including the Michigan Music Conference, the Michigan Youth Arts Festival, the ACDA Michigan Conference, and the ACDA National Convention. In addition to his work as a conductor, Jeffrey is also a regularly commissioned composer. His pieces have won several awards including honors from the Ithaca Choir Composition Contest, the New York Virtuoso Singers Choral Composition Contest, the Vanguard Premieres Choral Composition Contest, the Summit Chorale’s Composition Contest, the Outside the Bachs International Choral Music Competition, the C7Prize, and the Composition Competition of the Chiayi City (Taiwan) International Band Festival. Jeffrey’s choral works are published through G. Schirmer, Santa Barbara Music, Walton Music, Colla Voce, and Roger Dean Publishing. 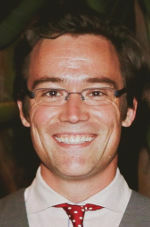 John Campbell received his Bachelor of Music Education degree from Central Michigan University, and his Masters in Music Education degree from Michigan State University. He spent 26 years teaching high school bands in the state of Michigan. From 1974 to 1976, he was the director of bands at Brablec High School in Roseville, Michigan. From 1976 to 1980, he was director of bands at East Lansing High School in East Lansing, Michigan. From 1980 to 1996, he was director of bands of Traverse City Central High School in Traverse City, Michigan. After six years, Mr. Campbell came back and was high school director Traverse City Central High School from 2002 until 2006. In 2006, John retired from teaching. David has been playing piano professionally in the Traverse City area for over 25 years. He has released 7 CD’s on his own label. David owns and operates “Lookout Music Productions” studio in building 50 at the Grand Traverse Commons in Traverse City, where he records and teaches piano lessons. David plays concerts, weddings, and club gigs with popular Traverse City singer/songwriter Miriam Picó. They have appeared the last 5 years at the acclaimed “Little White House” concert series in Key West Florida. David received a Bachelors of Music degree in Jazz Studies from Western Michigan University in, and a Bachelors of Music in Piano Technology from Michigan State University. In between his college stints, David toured Europe for a year, playing concerts and clubs. David performed for three years at the Grand Hotel on Mackinac Island Michigan. David resides in Acme with his wife Janet, son Dawson, and daughter Kaysen, and cat “Millie”. 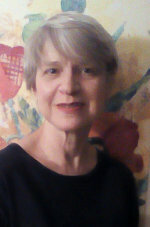 Diane Clark is a native of Memphis, Tennessee, and holds the rank of Associate Professor Emerita of Music at Rhodes College in Memphis, where she taught for thirty-two years. Before that she taught for three years at Texas Tech University. She holds the Bachelor of Music degree with distinction from Rhodes College, the Master of Music degree in voice pedagogy from Indiana University, and the Doctor of Arts degree in voice pedagogy from the University of Mississippi. 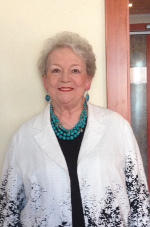 Clark has been a member of the National Association of Teachers of Singing for almost fifty years. As a vocal performer, Clark has been heard in recital, opera, oratorio and sacred music, music theatre, jazz, and barbershop venues. She served as Artist-in-Residence for the city of Germantown, Tennessee. She served as guest faculty for the Taos Opera Institute (New Mexico) and the Up North Vocal Institute (Michigan). Clark currently directs the Cherry Capital Men’s Chorus of the Barbershop Harmony Society. She is in demand regionally as a teacher and coach for barbershop choruses and quartets. In the summer of 2017 she and co-author Bill Biffle completed a book entitled So You Want to Sing Barbershop, which is part of a major book series published by NATS and Rowman & Littlefield Publishers. She currently maintains a small private voice studio in her home. Jack Conners has worked in professional audio for more than 40 years in recording studios, live sound, and system design. He received a Bachelor of Arts degree in Business from Spring Arbor University, Spring Arbor, MI. Artists Jack has worked with include the Baltimore Symphony Orchestra, violinist Joshua Bell, pianist Bob James, and drummer Peter Erskine. Jack is currently teaching audio technology at Northwestern Michigan College, and operates Perfect World Studios, an audio services company in Traverse City, MI. Brady Corcoran teaches all three semesters of Digital Audio and Studio Recording and is also the Lab Manager for Audio Tech facilities at University Center. When he isn’t teaching, Brady spends his time writing and playing music, performing locally and frequently traveling to Los Angeles to co-write with a variety of different songwriters and musicians. He is also the Music Supervisor for an upcoming documentary about Canadian singer-songwriter Gordon Lightfoot. He lives in Traverse City with his wife, Erika, his 10-month old daughter, Evie, and his dog, Stella. Mike Davis is the director of the NMC Vocal Jazz Ensemble. Mike has been apart of the Traverse City music and education community for over 38 years. 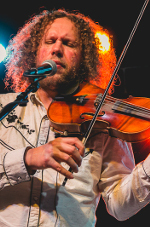 He has a Bachelor’s degree in music from Ball State University and a Masters degree from St. Francis University. 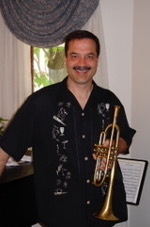 Mike is the founder of the NMC Jazz Big Band where he also teaches Classical Music Appreciation, Jazz Appreciation, History of Rock and Roll, and private woodwind instruction. Mike, having always loved vocal jazz, was appointed Director of the Vocal Jazz ensemble in September 2014. Besides being a music instructor, he also leads and plays saxophone in the Mike Davis Trio that performs regularly around Northern Michigan. Dorothy Eisenstein has professional experience as a dancer, choreographer, and instructor. She received her BFA in Dance from the University of Illinois and her Master of Arts in Liberal Studies with a movement and dance specialization from Wesleyan University. She has served on the faculties of University Liggett School, Eastern Michigan University, Young Audiences of Michigan, and the Wolf Trap Institute. She currently directs the dance program in the humanities division of Northwestern Michigan College. 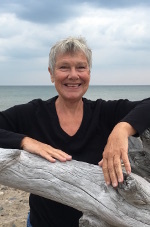 Dorothy is a longtime practitioner of modern dance and has infused her dance pedagogy with somatic research and innovative mind-body practices. She is an active member of the National Dance Education Organization and serves as a mentor to dance teachers in training. Dana Fall, a native to the Grand Traverse area, received her M.Mus. in piano performance from Western Michigan University in the Spring of 2015. Her career includes a wide variety of performing experiences including weddings, contemporary church bands, solo gigs, and classical performances. 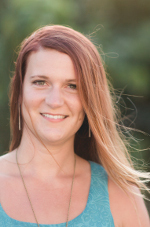 Besides being an instructor at NMC, Dana is currently working as a private piano and voice instructor, and also serves as Assistant Worship Leader at New Hope Community Church. Mike is the retired director of the Northwestern Michigan College (Traverse City, MI) Jazz Ensembles, which include the Jazz Big Band, Jazz Lab Band and Vocal Jazz Ensemble, and taught the MIDI Basics and Theory for Sound Engineers classes, part of our Audio Technology degree. 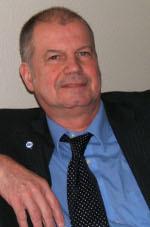 He was an instructor at NMC from 1991 until his recent retirement in July, 2014. 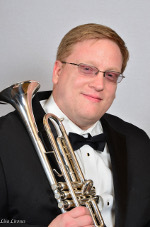 He is currently the instructor of low brass (trombone, euphonium & tuba) at NMC Mr. Hunter is a graduate of Central Michigan University’s School of Music with a Bachelors degree in music composition, and a trombone student of William H. Rivard; he also attended North Texas State University (now Univ. of North Texas) as a music major in their renowned jazz program, studying jazz arranging with composer/arrangers Lew Gillis and Mark Taylor. Mike also works as a freelance arranger, composer, music copyist and recordist from his studio in Traverse City. Mike plays professionally with jazz combos, big bands and chamber groups and throughout his career he has backed national artists such as Mel Torme, Frank Sinatra Jr., Bobby Vinton, Gladys Knight, the Temptations, Four Tops, Eddie Kendricks (on the LP “Slick”), Bob Newhart, Jerry Lewis, and Wayne Newton. He can be heard on recordings featured with guitarist Steve Little and with Luther Gravey and the Soul Biscuits. 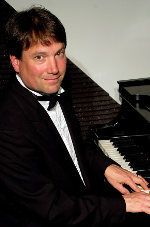 David Husser is a pianist and teacher living in Traverse City, Michigan, where he maintains a large independent studio. He collaborates as a pianist with numerous area soloists and ensembles, including the choirs of Traverse City West Senior High School and the Northwestern Michigan College Children's Choirs and Canticum Novum. He also teaches group and applied piano at both NMC and Interlochen Arts Camp. 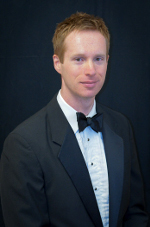 Mr. Husser's compositions have been performed by pianists and choral ensembles in multiple states. 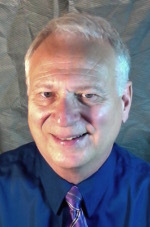 His articles have been published by American Music Teacher, and he has served as a presenter and panelist at a variety of national conferences. He holds a Master of Music Education degree from the University of Oklahoma and a Bachelor of Music degree from the University of Illinois. Peggy Johnson, B.A. MusEd., is an Adjunct Faculty member of Applied Piano at NMC, private music educator, coach/collaborator and free-lance musician and has accompanied many choral organizations and soloists in the GT area. Performance venues have included Vienna, Salzburg, Chicago, New York, Michigan (Ann Arbor, Lansing, Flint, Mackinac Island, Detroit, etc., etc.) and, most recently, Carnegie Hall and The Kennedy Center. Peggy is also a member of the Michigan chapter of the Music Teacher's National Association and the National Guild of Piano Teachers. Patrick Niemisto is a music educator with over 30 years of experience working with students from Kindergarten to College. As a public school Music Teacher, he fostered programs focused on individual discovery. As the proprietor of “Holy Wah!” Recording Studios, Patrick holds engineering and production credits for many local and regional CD releases. With a primary focus on folk and traditional acoustic styles, he has worked with many of the finest players and singer-songwriters in the area. As a musician, he has been on the regional scene since the early 1980’s. Playing with New 3rd Coast, Luunappi, Goodboy!, along with a variety of other interesting configurations of players, Patrick is frequently out making music as a side guy, and solo. 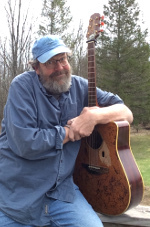 As a songwriter, Patrick has 2 records of music for children and families, as well as contributing material appropriate for for releases, by New 3rd Coast, Northern Michigan Songwriters in the Round, music for theater, radio, and other. Brad Novak is a performer/educator based in Traverse City, MI. His performance/recording credits include: The Accidentals, Joe Welsh, Sommerson, The Amanda Waggener Band, Kristine Seeley, and Dominic Fortuna, Brian Whitscell, Tuesday Radio, Miriam Pico, and David Chown among others. Brad is also the owner/operator of The Beat Lab, an educational facility that educates over 200 students each week in the area of drums and percussion, guitar, bass, ukulele, etc. He is the percussion instructor for the beginning band at the Grand Traverse Area Catholic Schools and is an instructor of drums and percussion for Northwestern Michigan College. Brad has been playing drums and percussion for over 30 years. In that time he has studied with Larry Finn at the Berklee College of Music in Boston, MA, Dave Zerbe and Robert Hohner at Central Michigan University, Chester Thompson, and Russ Miller via Drum and Percussion University. Brad is on the Vic Firth Education team, a Soultone cymbal artist, and a member of the Hudson Music Education Team. 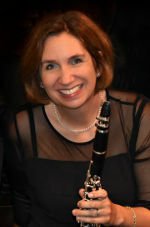 Jeanmarie Riccobono is Principal Clarinetist with the Traverse Symphony Orchestra and holds degrees from the Eastman School of Music, Northwestern University, and the Interlochen Arts Academy. She has performed with numerous orchestras including the Milwaukee Symphony Orchestra, Milwaukee Ballet Orchestra, Rochester Philharmonic Orchestra, Florida Orchestra, Sarasota Orchestra, Savannah Symphony, South Bend Symphony, Jacksonville Symphony Orchestra, Grand Rapids Symphony and the Detroit Symphony Orchestra. Ms. Riccobono is the 1996 Grand Prize Winner of the Boosey and Hawkes/Buffet North American Clarinet Competition. In April of 1998 she performed a solo recital at the Paris Conservatory as a guest artist at the Musicora Festival. She has participated in the Chautauqua, Aspen, Bay View and Sarasota Music Festivals and has performed in the Spoleto Festival of Two Worlds Orchestra in Spoleto, Italy and the Spoleto USA Festival Orchestra in Charleston, South Carolina. Ms. Riccobono is a sought - after clinician, teacher, active recitalist and chamber musician performs summer chamber music concerts with the Bay View Wind Quintet and mentors collegiate clarinet students as an Artist - In - Residence in the Bay View Music Festival since 2015. Laurie Marino Sears, saxophone and woodwinds, is familiar to Michigan audiences through her work on various jazz stages, with Broadway show orchestras and with symphony orchestras throughout the state. Laurie performs with her own groups as well as with numerous other Michigan jazz artist/ bandleaders in concert and festival settings, in clubs, and for school clinics, including the Building Bridges With Music program with Jeff Haas and with Northern Michigan favorites, David Chown and Miriam Pico. Some national jazz and popular artists that Laurie has shared the stage with include Sarah Vaughan, Mel Torme, Frank Sinatra, Dean Martin, Natalie Cole, Aretha Franklin, Liza Minelli, Julie Andrews, Bernadette Peters, Johnny Mathis, Henry Mancini, Sergio Mendes, Perry Como, Andy Williams, Wayne Newton, Ben Folds, Bobby McFerrin, Smokey Robinson, The Temptations and The Four Tops. 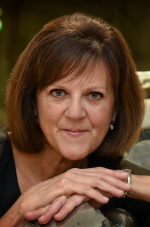 As an educator, Laurie’s teaching experience currently includes Northwestern Michigan College Director of Jazz Bands and Adjunct Instructor of Woodwinds, private lesson instruction, and the Interlochen College of Creative Arts Adult Band Camp. Prior teaching includes Grand Valley State University, and in the Chicago area, Columbia College, Concordia University, Triton College, and the American Conservatory of Music. She holds the Bachelor and Master of Music degrees and the Performer’s Certificate in saxophone and woodwind performance from the Indiana University School of Music. Teachers include Eugene Rousseau, Fred Hemke and David Baker. 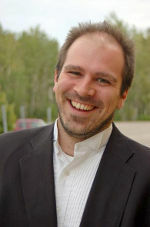 Scott Sorenson holds Doctor of Philosophy, Master of Arts, and Bachelor of Arts degrees in music education from the University of Minnesota and Luther College. Currently, Dr. Sorenson teaches music theory and sight singing/ear training at Northwestern Michigan College. He has also served on the music faculties of the Interlochen Center for the Arts, Hong Kong International School, University of Minnesota, Burnsville Public Schools (MN), and Traverse City Public Schools. Dr. Sorenson is the author of over one hundred and fifty published articles, reviews, conference synopses, and orchestral program notes. He has held the positions of associate editor, assistant editor, and recording/music reviews’ editor for the Journal of the International Trumpet Guild. 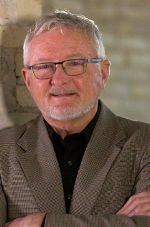 Dr. Sorenson’s music editions are published by Shawnee Press, Southern Music, International Music Company, Concordia Publishing House, and Denver Brass. Additionally, he holds the position of second trumpet with the Traverse Symphony Orchestra and is past principal trumpet of the Great Lakes Chamber Orchestra. Dr. Sorenson is also the program annotator for the Traverse Symphony Orchestra and is past chair of the orchestra’s players’ committee. During the summers, Sorenson pursues his interest in long distance wilderness canoeing. In 2017, he completed his 8000th lifetime mile on a thirty-day solo trip of Ontario’s Quetico Provincial Park and Minnesota’s Boundary Waters. Susan Steele teaches applied voice at NMC. Susan is also an active vocalist singing with Canticum Novum and as soloist and recitalist in the Traverse City area. She has a Bachelor of Music Education and a Master of Vocal Performance from Northern Illinois University. 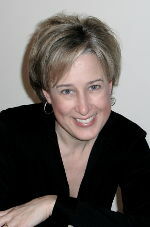 Susan has performed with the Providence Opera Theater, Providence Rhode Island, with the Chicago Symphony Chorus, under the direction of Margaret Hillis, in Kalamazoo, Mi., with the Kalamazoo Singers, Bach Festival Chorus and Kalamazoo Symphony Orchestra, and in Plattsburgh New York, with the Champlain Valley Oratorio Society. 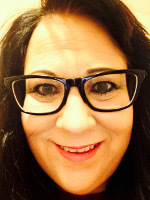 She has taught applied voice as an Adjunct Instructor at Western Michigan University, Nazareth College, Kalamazoo College, and Plattsburgh State University of New York. Phil started playing guitar in a band in high school in the mid 60s and continued performing throughout Michigan and the Midwest through the 70s. His academic background includes jazz and classical guitar studies at college and Musicians Institute (Los Angeles) where he graduated (1982) with a Professional Guitar Player certificate. Phil was active as a freelance guitarist in Los Angeles for nearly a decade. As a result, his guitar playing can be heard on recordings of all types such as ad jingles, motion picture and television soundtracks. Other accomplishments include composing, recording and performing as a member of the pop/rock band A.L.T. (Los Angeles, CA), which produced a CD recording of the same name. His compositions have won awards in the Music City Song Festival (Nashville) professional song division (song writer) award 1987, 1988. A guitar instructor at Northwestern Michigan College (Traverse City), since 1992, Phil currently performs throughout Michigan and the Midwest in a variety of musical settings from small combos to a Motown revue. He has performed with The Drifters, The Coasters, The Marvelettes and many others. 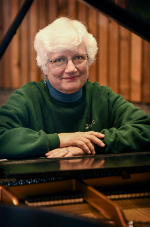 A faculty member at Northwestern Michigan College since 1996, Dorothy Vogel teaches music theory and sight singing and ear training. 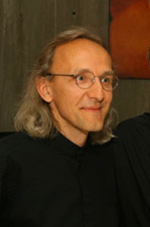 Vogel also teaches on the summer piano faculty at Interlochen Center for the Arts. She holds a B.M. in piano performance from Oberlin Conservatory, an M.M. in piano performance from Western Michigan University, and a D.M.A. in Music Education from Boston University. Her research articles have been published in the Journal of Research in Music Education and the Journal of Historical Research in Music Education. Previously, Vogel served on the faculties of Hope College, Kalamazoo Valley Community College and as staff accompanist at Interlochen Center for the Arts. She is currently pianist for the Traverse Symphony Orchestra, the NMC Chamber Singers, and the Grand Traverse Chorale. Joshua Wagner is in high demand as a trumpet player, clinician, soloist, and teacher. From the beginning he has been setting himself apart from his peers with his huge sound, soaring high register, and ability to feel at home in a variety of music genres. One of his specialties is playing in pit orchestras including playing 1st trumpet on the 1st national tour of Bullets Over Broadway: The Musical. Mr. Wagner has performed at the Detroit Jazz Festival, Bay County Jazz Festival, Notre Dame Jazz Festival, and the Bay View Music Festival. He has performed with the Grand Rapids Jazz Orchestra, Bay Area Big Band, Traverse Symphony Orchestra, Encore Winds, and the Lake Effect Jazz Big Band. Mr. Wagner has served on both the Brass Faculty and Jazz Faculty of Blue Lake Fine Arts Camp, music faculty for Southwestern Michigan College, trumpet instructor for the Grand Traverse Area Catholic Schools, and as an adjudicator/clinician for the Michigan School Band & Orchestra Association. He holds a Bachelor of Music Education from Central Michigan University and a Master of Music in Jazz Studies & Trumpet Performance from the Jacobs School of Music at Indiana University where he was the recipient of the Jamey & Sara Aebersold Jazz Studies Graduate Fellowship. Mr. Wagner is a Conn-Selmer/Bach Endorsed Performing Artist and plays on Bach Stradivarius Trumpets, Cornets, and Flugelhorns. Beth Weston's musical journey began at age 7 with private instruction on the violin and piano. By age 14, she began playing in the TSO, and later on studied with Catherine Sivits and with Paul Statsky at Interlochen Arts Academy. Desiring to become a professional musician, she obtained a performance degree from Western Michigan University. While there, she was a full-time member of the Kalamazoo Symphony Orchestra, Concertmaster of WMU Orchestra, and also excelled in music composition and conducting. After college, Ms. Weston returned to her native Traverse City, rejoined the TSO and established a private studio, teaching violin and viola for the last 35 years. Currently Principal Violinist with the TSO and Great Lakes Chamber Orchestra, she also performs regularly as a ensemble member of the Bayshore Strings for whom she also enjoys arranging music. For the last 10 years, she has been an adjunct faculty instructor of Applied Music - Violin. She and her husband Steve have two children, Stephanie and Ben and live in Traverse City.